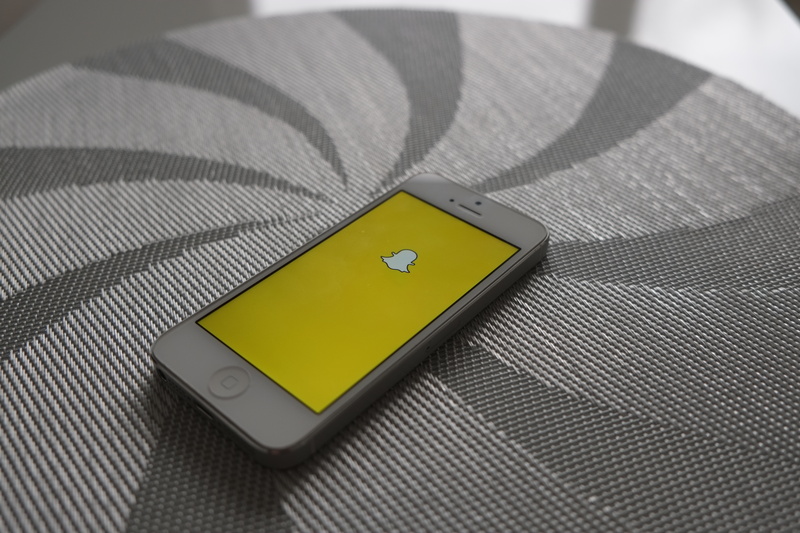 Should Snapchat be Part of your Marketing Strategy? Snapchat is rumoured to be nearing 200 million registered users. The 10 second photo sharing app has gone from being a simple curiosity, to a social media platform that provides a fun alternative to Facebook’s lengthy rants, or Twitter’s 140 character abuse-enabler. By allowing users to send digestible and disposable snaps of their dinner, families, friends, activities and, let’s be honest here, that other thing that people use media messaging for; Snapchat has captured people’s imaginations. But what about businesses? Anyone checking their Snapchat app’s story feed in recent months will have noticed a steady increase in the number of commercial enterprises posting content. Why is this though? One’s first instinct is that the disposable nature of Snapchat posts would not lend itself well to marketing. However, some companies clearly think differently, so let us try and think about it and come up with some ways in which Snapchat’s unique format may be a help to business. The largest demographic that use Snapchat are 18-24 year olds and 45% of its users fall within this range. This proportion is far more skewed than other social media providers, which generally enjoy a much more evenly spread demographic. But what may be significant about the 18-24 demographic that makes marketers want to target them through Snapchat? The most logical conclusion may be that they are harder to pin down to expose to other marketing methods. Generally speaking, this age range are the ones out hanging with friends or partying; not cuddled up in front of the television. They may simply not have the time nor the inclination to be exposed to lengthy adverts. However, a quick 10 second blast on Snapchat is far more digestible. So, if your business wishes to target teenagers or young adults, Snapchat may be worth considering. Common sense suggests that Snapchat’s 10 second window, would prove to be detrimental to anyone attempting to advertise through it. However, there are ways in which it could actually be used to your advantage. Imagine that you plan to release a new product line in the next few weeks or months and you are preparing your advertising campaign for it? Well, what better way to kick it all off than with a quick ten second tease? By just giving a quick flash of the new product, you may be able to whip up some initial curiosity. Cosmetics company NARS, did just this to tease their new collection and the feedback was largely positive. One industry that must use teasers more than anyone is the film industry. Snapchat could therefore prove a fantastic medium to release the teaser trailer for your next big block-buster, ahead of rolling it out across other media. If you email potential or existing customers with promotional codes or special offers, you are going to be competing for attention with so many other companies. How many of us just routinely delete emails from businesses, without even reading them? However, send a Snapchat to your customers and you may be in a much better position to grab their attention. First of all, the easiest way to “delete” a Snapchat, is to view it. This means that even if the customer isn’t initially interested in the post, they may let it play anyway and, just maybe, you will change their mind. Also, you can Snapchat discount codes, which users can then screenshot to save, if they are interested. Your business can then easily compare how many Snapchats were sent, with how many users screenshotted them, with how many actually used the code. This provides you with a simple and elegant method for collecting data on how successful your promotion has been. The best thing about using Snapchat to promote your business is that it is fun. Send snaps of you and your team having fun at work. This should show potential customers that you are not a bunch of dreary office drones, or a disembodied voice on the end of a telephone, but a real person who likes to enjoy themselves. Also, since the snaps are short-lived, you need to really sit down and think hard about the message you want to communicate. This should mean that, while your content will be fun and entertaining, you will probably avoid some of the pitfalls of other social media. Things like posting something to hastily that reflects badly on yourself and the company. It also provides a great way for your demographic to interact with you that is both fun and memorable. You can get them to send you snaps of them doing something exciting and maybe use it as a competition. After all, the main purpose of companies embracing social media is to enable interaction. It could be that Snapchat is not suitable for your business. Maybe your field does not lend itself to this kind of tool, or maybe your target demographic does not use the service. However, if you think that it is a good fit for your customers and your message, then it is definitely worth considering. So, get around a table, grab your phone and start planning your first snap today.